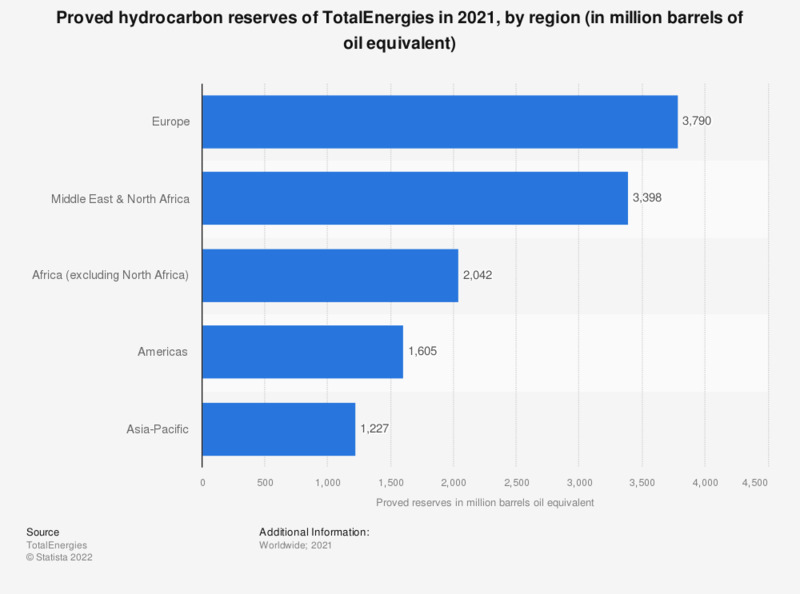 This statistic shows Total S.A.'s proved reserves by geographical region in 2017, measured in million barrels of oil equivalent. In the Americas, there was a total of approximately 1.96 billion barrels of oil equivalent in 2017. Total S.A. is one of the world's largest oil and gas companies. The French company, headquartered in Paris-Courbevoie, specializes in the entire oil and gas chain, as well as chemical manufacturing. Proved reserves include liquids (including bitumen) and gas. Figures are calculated in accordance with United States Securities and Exchange Commission regulation.